I am a big fan of the Italian Superenduro series, why? It is just so much more than a race, every time. 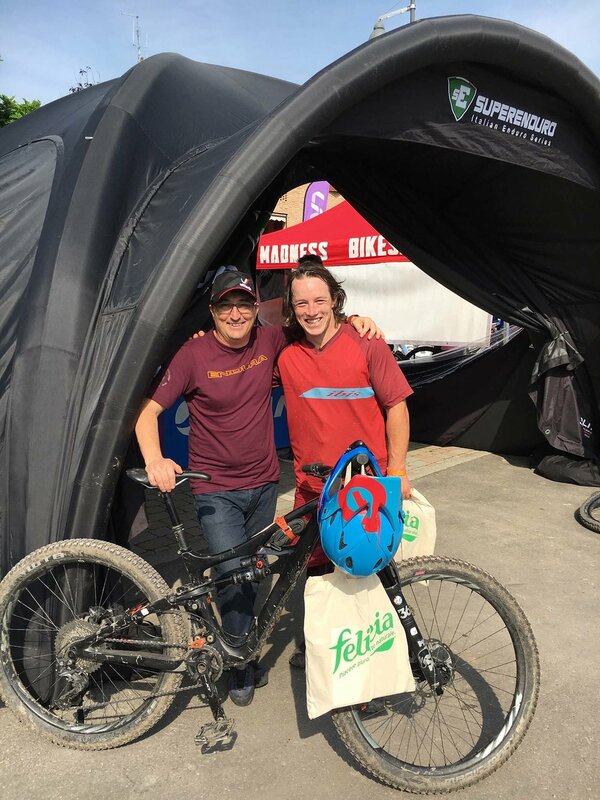 So naturally, as soon as the race schedule for 2018 was out they were slotted into our travel calendar in between European EWS rounds, mountain bike guiding in Finale Ligure and casual mountain bike exploration. 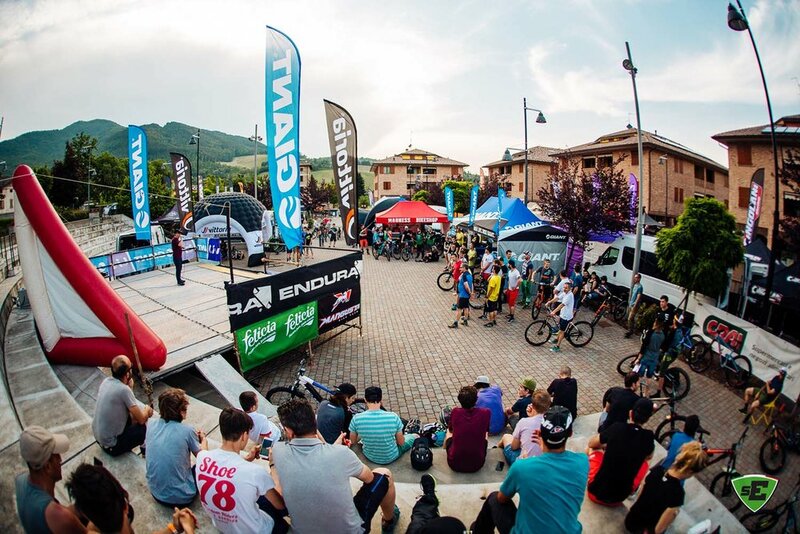 One of the many aspects that the superenduro series excels at is their ability to showcase not only great mountain bike areas but also the exceptional beauty and variety of Italy through their choice of venues. The Superenduro series is celebrating their 10 year anniversary this year and has therefore brought back two venues where some of the earliest Superenduro’s were held back in 2008, Sanremo to open the season and Priero to finish it off. What a fantastic way to celebrate the history of the series whilst highlighting the evolution of the sport. Back on the menu as well, nestled amongst the spectacular Dolomites is Canazei, which is not only on the superenduro calendar and a continental race this year but an Enduro World Series location for 2019. For more on this topic click here. So, in a similar fashion, Calestano was nothing short of beautiful. We rolled in to town on Friday afternoon, parked the campervan at the allocated campervan park (organisational bonus points!) and got on the bikes for a lap of the township. 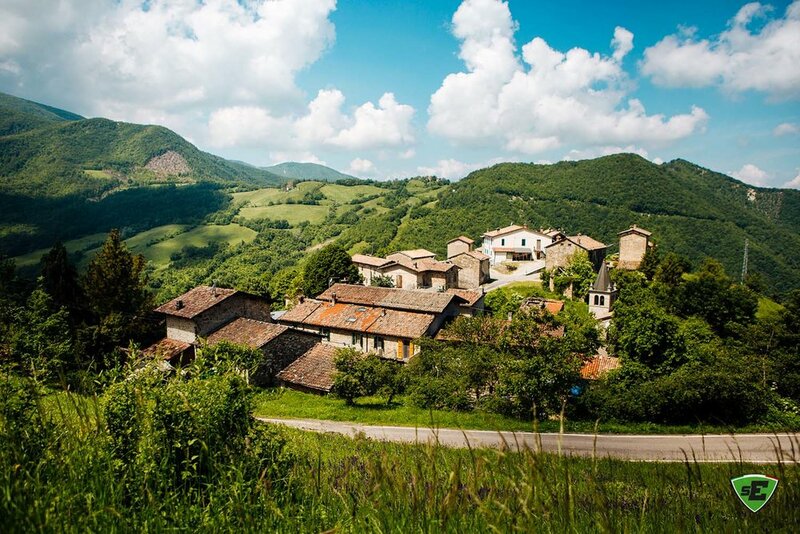 A small but incredibly picturesque town surrounded by amazing mountain biking, which you would be likely to come upon either by chance or…by superenduro. For the practice on Saturday we initially decided to pedal, don’t ask! We headed up to special stage 1 followed by special stage 2 via a steep at times, but mainly, enjoyable road through Canesano before leaving the tarmac to begin a short steep push up to the majority of the stages. Special stages 1, 2 and 4 all had elements of flat corners, steeper sections, long sprints and a whole bunch of off camber slip and slide. After two laps up the hill and some lunch we then joined the merry group of people using the organised shuttle service which, thanks to a large amount of vehicles and drivers, ran smoothly and had minimal to no waiting time. Special stage 3 certainly was a different kettle of fish to the other stages by providing a much steeper gradient, rocks, roots and tight corners. A definite favourite among the racers. As the day went on tracks dried out enough to increase grip and leave us amped for racing. Calestano put on a blinder of a day for the race. Sun and high temperatures in the morning helped to further dry out the tracks and a highly appreciated cloud cover increased in the early afternoon and brought that temperature down to perfection. After a quick chat with Enrico (arguably Mr. Superenduro... but at the very least the voice of Superenduro) up on the stage there was a short pedal over to the shuttle vehicles which quickly brought us up to a height of 500 meters, leaving only a couple corners on the road and a short push to do by bike before reaching special stage 1. The almost 4 kilometer long stage was unreal fun and would have seen more than one foot unclipped and hanging off the side to deal with the slippery off camber galore going on. With its many long sprint sections it also ensured we were adequately warmed up for the liaison pedal back up the road to special stage 2. While being similar in style special stage 2 definitely had its own unique flavour with some steeper and techier sections. After a sunny stress-free refreshment stop at the race village we set off once again, this time to tackle the almost 9 kilometer long liaison to special stage 3. The shortest and certainly the most gravity assisted, special stage 3 was action packed from start to finish. The adrenaline was having a field-day by the end and helped our legs keep spinning up to special stage 4. Some wet slippery sections at the top of the final stage turned into a much drier path winding its way in and out of the forest on a selection of single track, 4X4 track and fresh cut lines. Although remarkably physical due to the many sprint sections it was potentially the track I had the most fun on. The last few minutes were pure joy of super fast flowy turns leading us into the very centre of the township where we finished off the race with about 20 seconds of urban excitement. As if that wasn’t enough happiness for one day the organisers also put on a magical post-race meal of local specialties such as prosciutto ham and ‘pizza fritta’ or fried pizza in plain english. The 43.3 kilometer long course, including 1700 meters of liaison climbing and 4 race stages were tackled by 270 people from 8 nations. 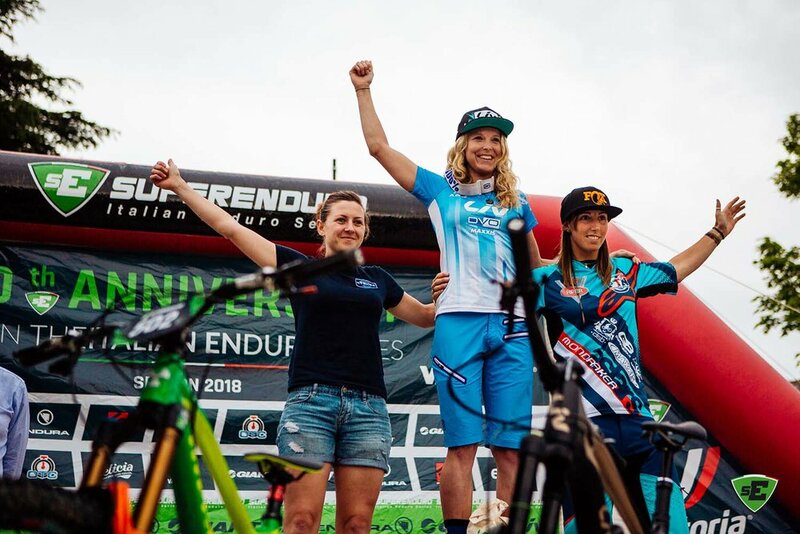 Whilst the full unbiased results can be found here, we are particularly interested in the efforts and results of New Zealand’s own Raewyn Morrison from the Giant Factory off-road team who absolutely dominated the open female’s field by winning every single stage and leaving second place, Laura Rossin, behind by almost a minute and a half. Nicola Casadei, CMC Cycling Experience Team, took the win on stage 1 and 4 which was enough to claim the top step of the open men’s field. For a more detailed summary of the race results and overall leaderboard of the 2018 superenduro series click your way to the superenduro website. Whilst being an incredibly physical day of racing the local organisers Mangusta Bike Team asd still managed to stay true to the superenduro philosophy of replicating a fun day riding with your mates. I, for one, had a great day riding and caught up with old friends and made many new ones. Left, right and centre we saw groups of participants joined by a large number of friends and family who saw this event as an opportunity for a gathering and ‘made a weekend out of it’. 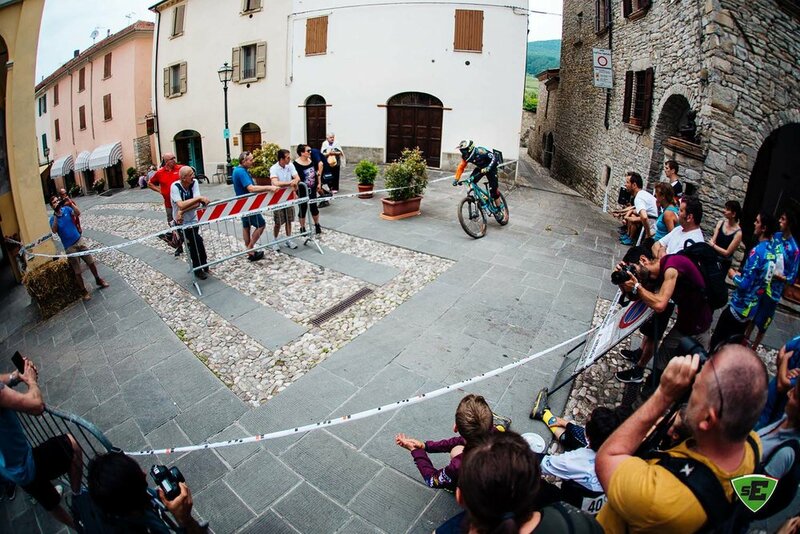 There was food, there was socialising and there was bike racing, all in the name of superenduro. Loui Harvey & Jess Enlund give us the lowdown on the Italian enduro series, the “Superenduro” and it’s origin in the historic town of Priero.